The Bologna State Archives store the documentation produced by the administrative bodies of the city and its surroundings from the Middle Ages to the fall of the Ancien Régime (1796). After that historical period, it conserves documentation from the peripheral administrative bodies of the Papal State and the Italian State, before and after Italian unification. Many other archival fonds are conserved in the Bologna State Archives that come from private, ecclesiastical and other public bodies, dating from the 10th century. 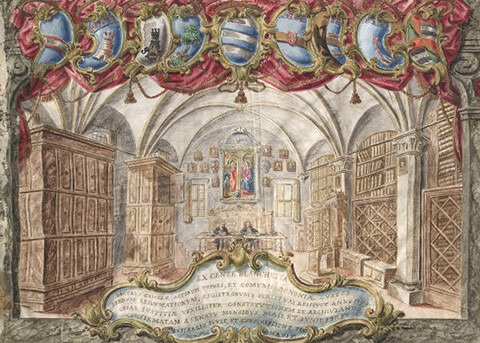 The Imola section of State Archives (a part of the State Archives of Bologna), preserves papers produced by some public institutions of the Imolese territory and form a separate archival unit. Moreover, the State Archives of Bologna are the site of one of the seventeen Schools of Archival, Palaeographic and Diplomatic Studies in the Italian Archival Administration.